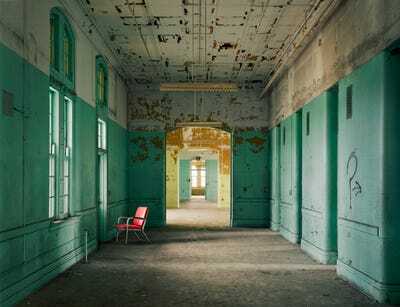 Massive mental hospitals, some of which once housed hundreds of thousands of patients, were the primary mode of treatment for those with mental illnesses for centuries. 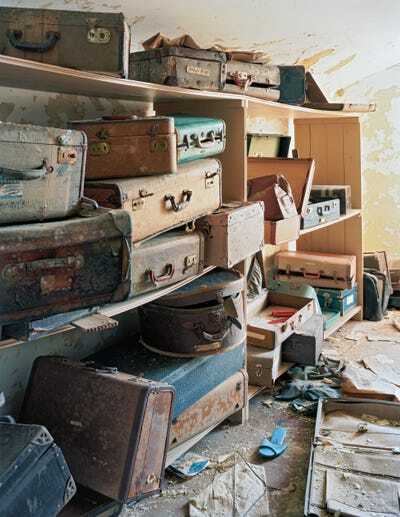 But by the 1960s, asylums all over the US were closing down in reaction to reports of abuse and neglect, as well as the passage of new healthcare laws that emphasised a community-based treatment approach. 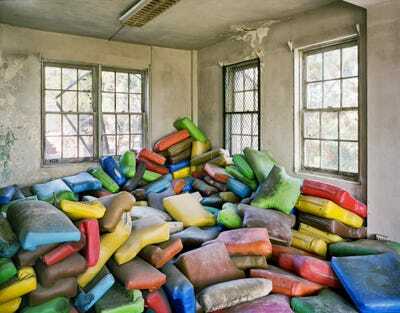 As a result, many formerly-packed mental hospitals have been left standing totally vacant. 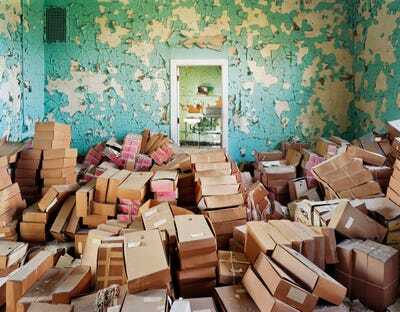 Over the course of six years, photographer Christopher Payne travelled to 70 of these abandoned mental hospitals all over the US, getting exclusive tours inside each. The resulting photos are chilling, yet beautiful in their own way. 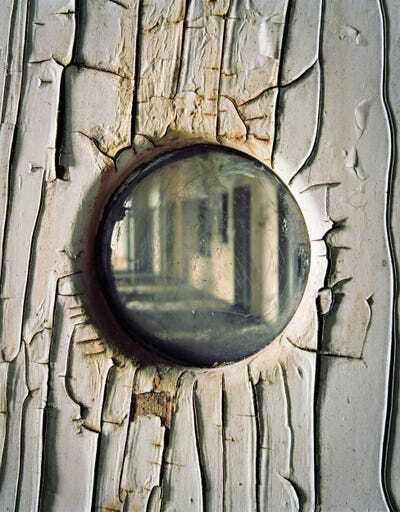 Payne turned his photographic journey into a book titled “Asylum: Inside the Closed World of State Mental Hospitals.” Below, see his eerie photos of abandoned mental hospitals all over the US. 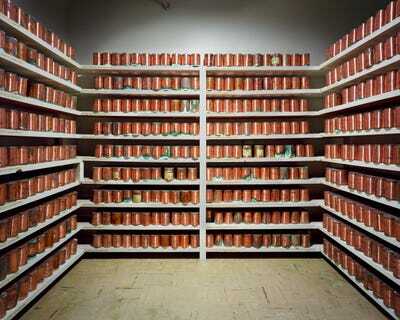 These hospitals housed thousands of people with severe mental disorders like schizophrenia and bipolar disorder. While a majority of the hospitals have been completely abandoned, some have remained partially open, such as Kankakee State Hospital, pictured below. These hospitals reached their peak occupancy in the mid-1900s, with some housing hundreds of thousands of patients at once. Payne got exclusive access to the hospitals by submitting formal requests to state department of mental health agencies. 'Once a few states granted access, all the others followed suit,' Payne said. Many of the hospitals were eager to share their history. Payne got exclusive tours from people who used to work there. 'Many of the (former) employees had worked at the institutions for decades, as had their parents and grandparents before them, and they were proud of their work,' Payne said. 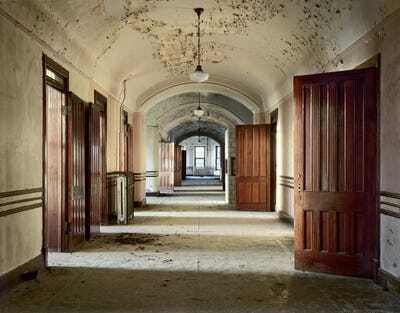 Terrell State Hospital opened in 1885 and was known as 'North Texas Hospital for the Insane' until 1925. Before it opened, there was only one other psychiatric treatment facility in all of Texas, and it was located in Austin. That facility had become overcrowded, and patients were often confined to county jails until Terrell State Hospital opened. 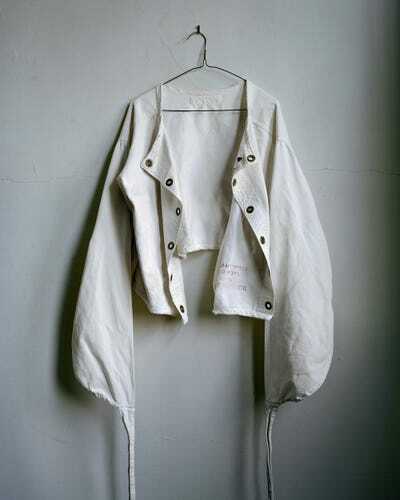 For a number of these hospitals, Payne's photographs would be their final documentation before they were demolished. 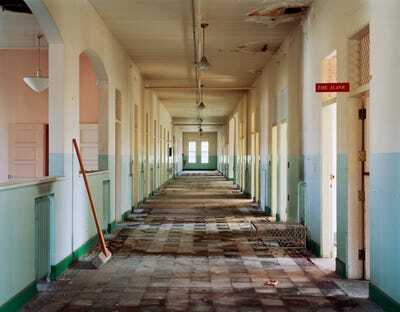 Yankton State Hospital, in South Dakota, was demolished in 2009 because of a lack of use and poor maintenance. Payne took this photo shortly before it was bulldozed. Payne travelled to 30 different states, but he found that his favourite hospitals to photograph were in Massachusetts, where he grew up. 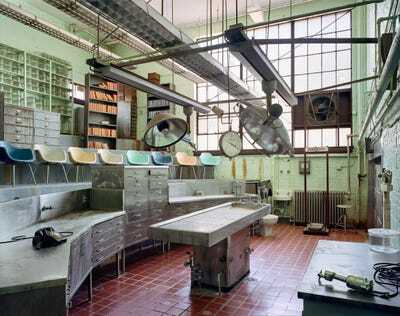 Payne claimed that the inside of the hospitals were typically not as mysterious as they appeared to be from the outside. 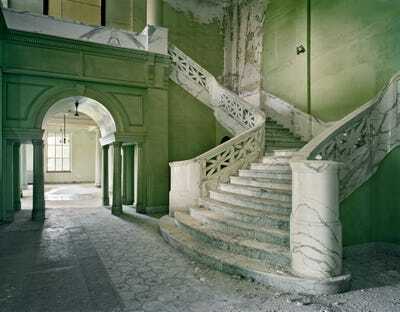 'No ghosts inhibited the hallways,' he said. While he didn't run into any ghosts roaming the halls, walking around still triggered certain emotions, Payne said. Psychiatric hospitals do still exist, but long-term health care for mentally ill patients is very limited. As of last year, state-run institutions house less than a tenth of the number of patients they did in 1955, according to The Atlantic. 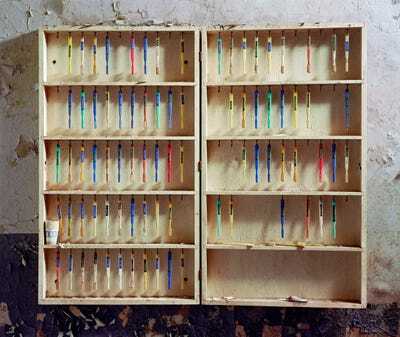 Payne wanted to avoid all stereotypes while photographing the mental hospitals. 'As I do not wish my work to perpetuate the stigma of mental illness nor reinforce the bad reputation these places acquired, I have tried to avoid stereotypes,' he said. 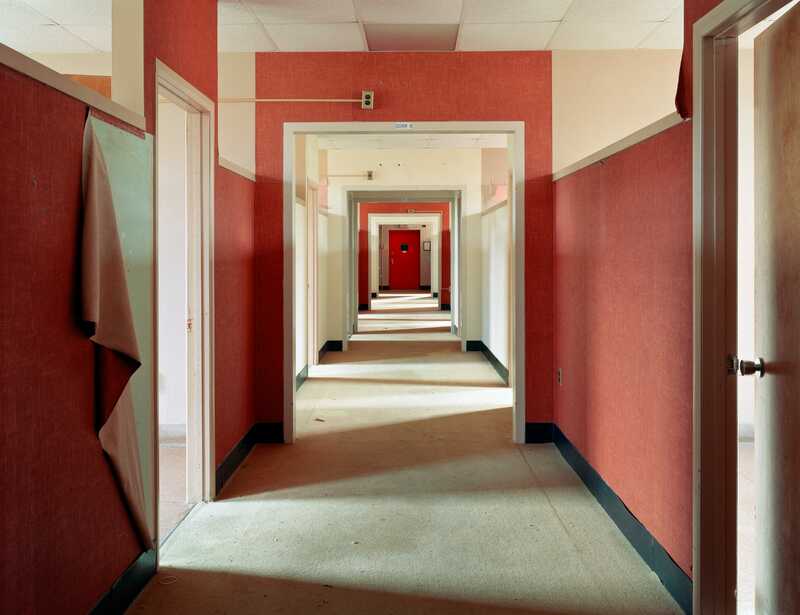 'In doing so, I hope my photographs convey the value these hospitals once had in society by showing how they functioned and by making palpable the architectural history we have lost,' Payne said.